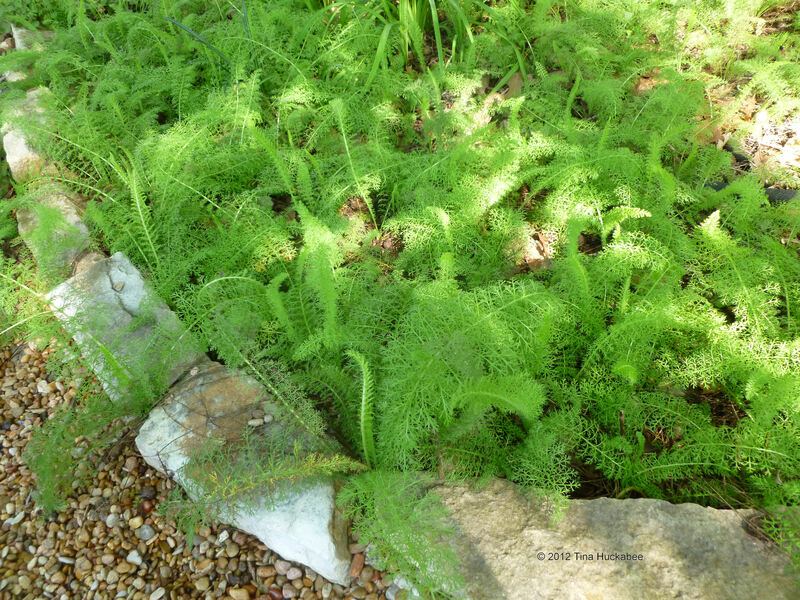 Joining Pam at Digging for Foliage Follow-Up and celebrating Native Texas Plant Week, I’ll focus on some of the lovely Texas plants currently wowing with interesting foliage in my garden. 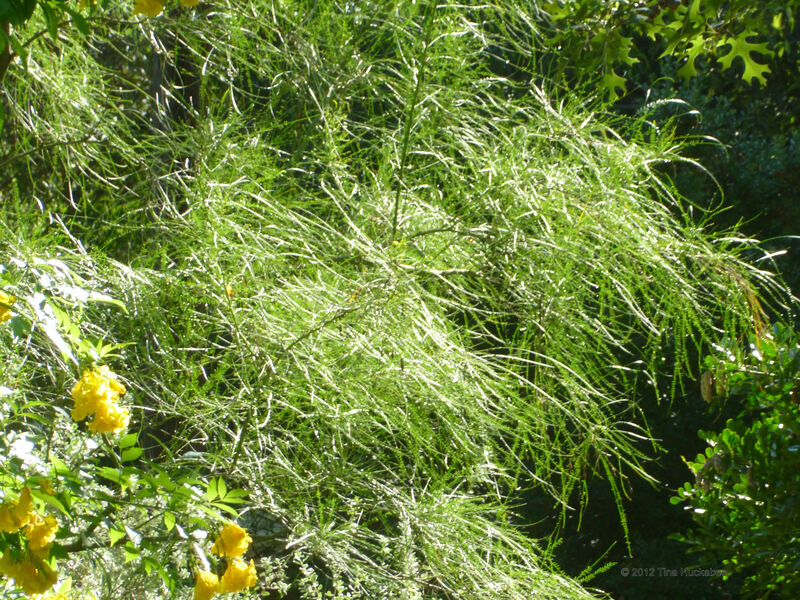 Or, as in the case of the Big Muhly (Muhlenbergia lindheimeri), showing off its slender foliage and its magnificent inflorescence. 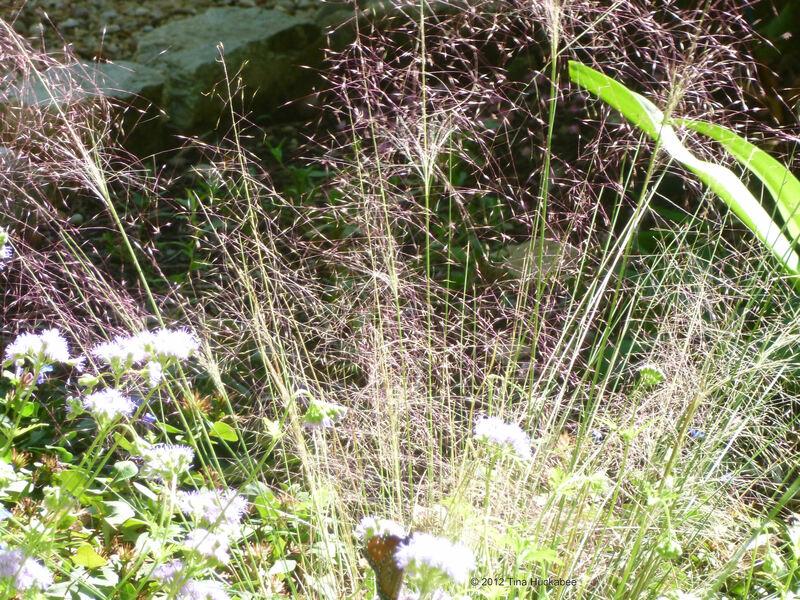 Fall has arrived with the plumes of native grasses entering their full glory. Sigh. So beautiful. 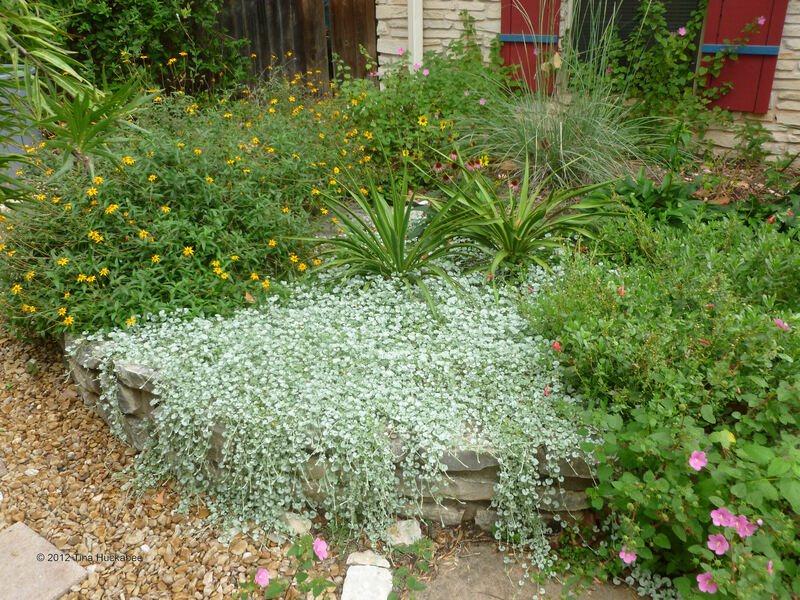 This Silver Ponyfoot (Dichondra argentea) augments the brighter green and blooming perennials around it. Its creeping habit is graceful as it spills over edges and rocks. an obnoxious weed. I’ve found many of these hardy, drought tolerant plants insinuating themselves in cracks between stepping-stones or at the base of raised beds. I had so many individual mats that I decided to plant as many as possible in a sitting area that was once grass, but has been a mulched area for about ten years. I planted the left side after some heavy rains last May and the right side, after rains during the summer. 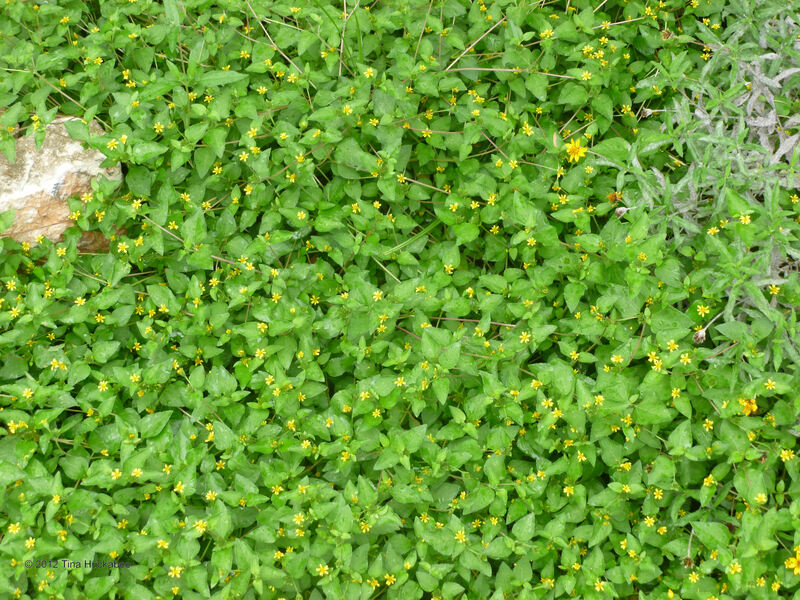 The Horseherb has filled in remarkably well. Scarily so. I hope I don’t regret have this tough plant so close to a more formal garden. I’ll need to keep it tidy with a line trimmer, but the area is almost completely shaded, so it won’t need extra water and Horseherb can handle moderate foot traffic. 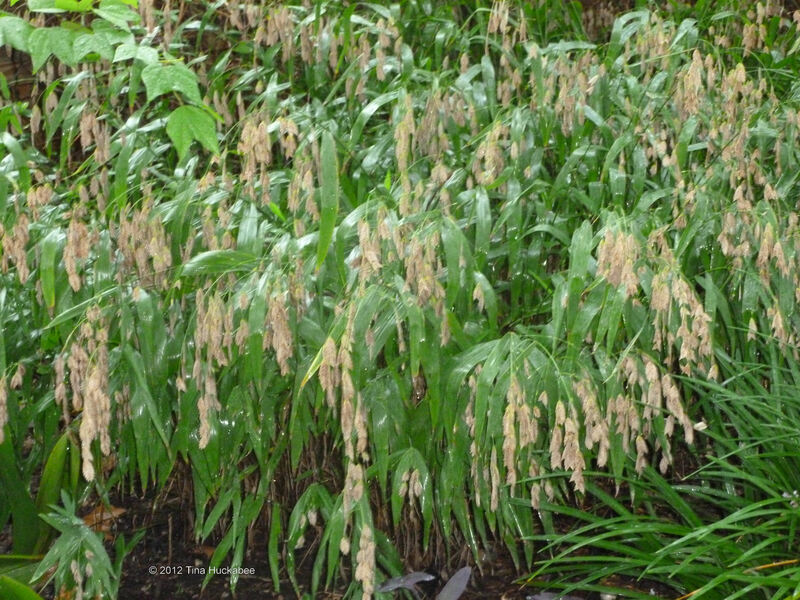 Inland Sea Oats (Chasmanthium latifolium) is sporting its tawny seeds for fall. 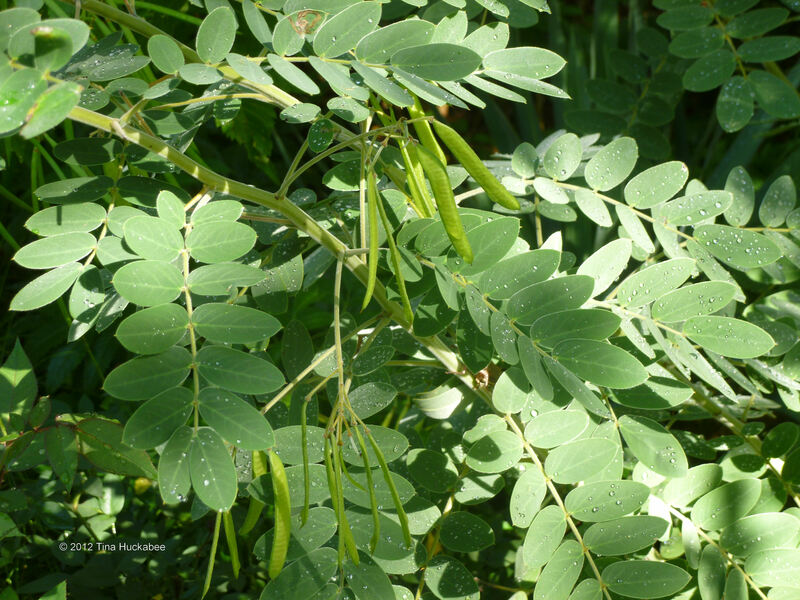 Although the pretty yellow blooms of the Lindheimer’s Senna (Senna lindheimeriana) are all but gone and the seeds are ripening for the birds, I still love the beautiful soft grey-green foliage of this native perennial. 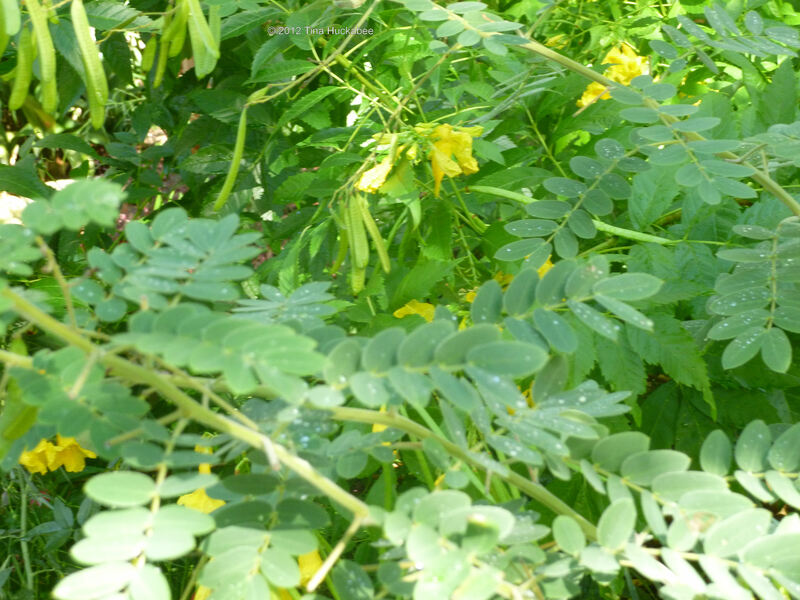 Lindheimer’s Senna is especially nice paired with the bright green, more tropical looking leaves of the ‘Esparanza’ Yellow Bells (Tacoma stans). 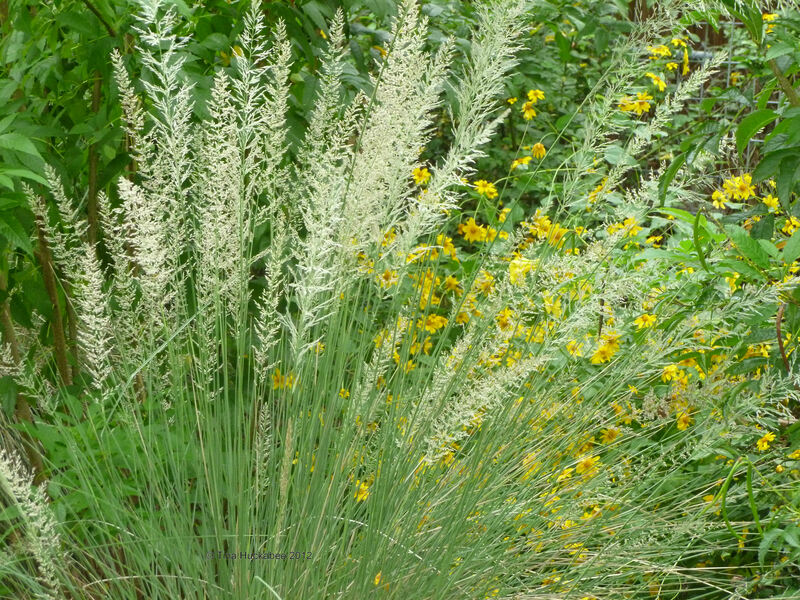 The always elegant Mexican Feathergrass (Nasella tenuissima), softens gardens with its thread-like shimmery green to golden brown leaves. Years ago, someone shared their White Yarrow (Achillea millefolium) with me. Yarrow is a favorite of mine because of its beauty and durability. Best in shade, it grows well in even the driest of summers; its blooms are long-lasting. By this time of year, I’ve pruned the flower stalks, but the leaves remain lush. This Retama is about seven years old. It’s grown tall and has yellow flowers all summer. The bloom cycle is toward its end, but the delicate, feathery leaves are fetching. Be STILL my beating heart! I love Gulf Muhly (Muhlenbergia capillaris). I love it! Although my little Muhly is no rival for some of the beauties of this species that I see around Austin, I’m still thrilled that I have some plumage. Someday, little Muhly, someday! Glory in both blooms and foliage! 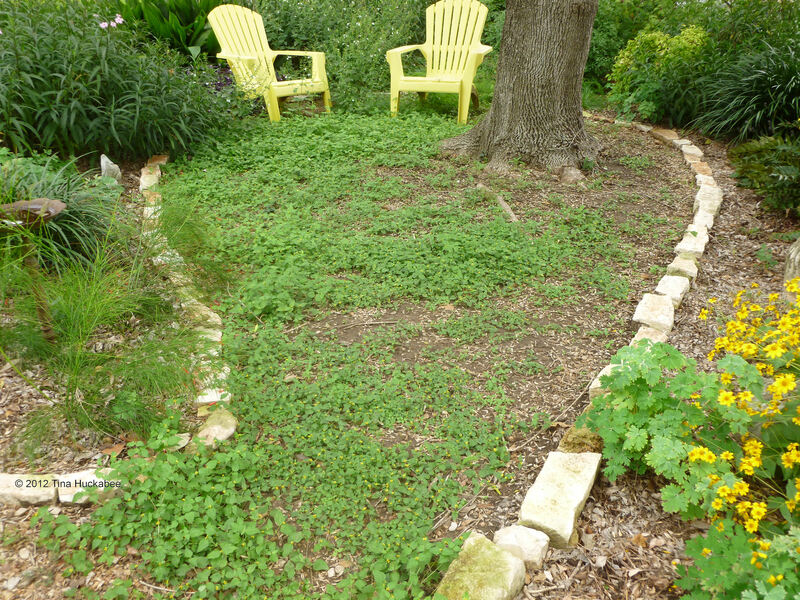 And if you live in Texas, happy Native Plants Week! 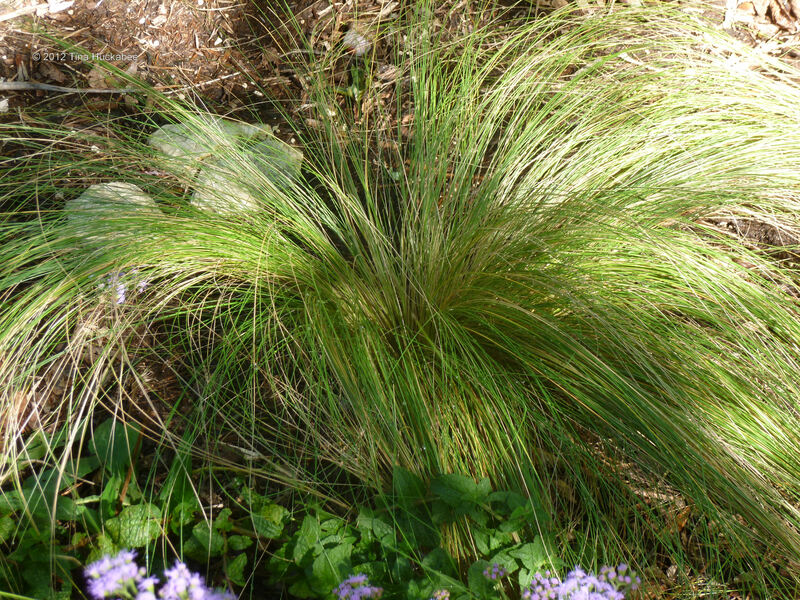 Wherever you live, try native plants for your garden. For more information about North American native plants, check out the Lady Bird Johnson Wildflower Center site. 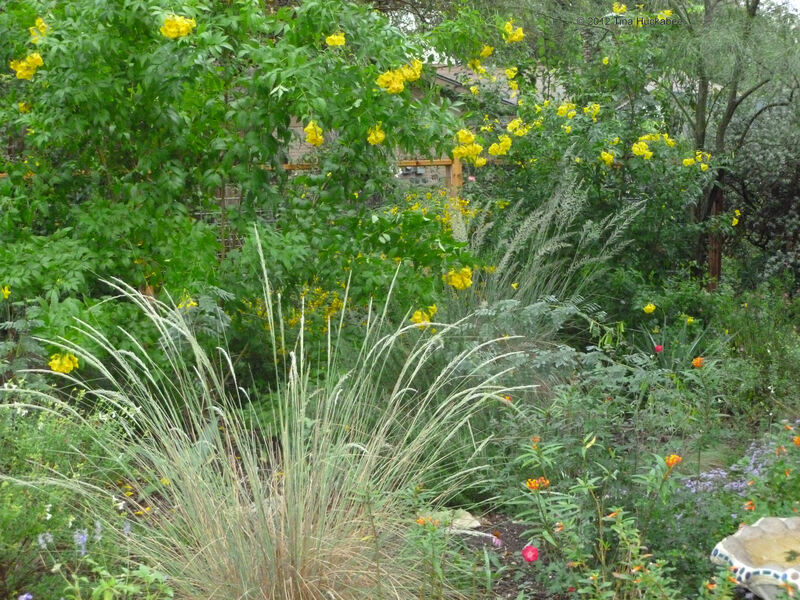 This entry was posted in Big muhly, Chasmanthium latifolium, Foliage Follow-up, Ground Cover, Gulf Muhly, Horseherb, Inland Sea Oats, Lindheimer muhly, Lindheimer's senna, Mexican Feather Grass, Muhlenbergia capillaris, Muhlenbergia lindheimeri, Nassella tenuissima, Ponyfoot, Retama, Wildlife food, Yarrow by Tina. Bookmark the permalink. You’ve highlighted a bunch of lovely natives that we can enjoy for leaf and seed, not just flowers. Thanks for posting for Foliage Follow-Up. Wish I could get my Silver Ponyfoot to look like yours! Any secret to getting it to look so lush? I love your Yarrow. I’ve never grown this before. I’ve got lots of part shade/sun in my garden. Maybe this is a plant I need to consider. It has beautiful foliage. Thanks for dropping by, Steph. I’m very happy with the Ponyfoot in this garden. It gets full sun and I water sparingly–it seems happy. I’m sorry yours hasn’t performed. I’ve heard others complain that they have trouble with Ponyfoot, so I don’t think you’re alone. The yarrow is nice. Someone gave me some years ago and I love it. It performs well in sun, part-sun and shade–what’s not to love? Of all my perennials It also has some of the longest continually blooming flowers, especially in really hot, dry summers. Go get some!! Your ponyfoot looks great! Keep it up! Thanks Reed. I really like that plant–I added more of it on the other side of the yucca and it’s also growing beautifully. I share your love of the horseherb. I’ll be curious to hear if you can easily keep it contained. And I love that ponyfoot – what a gorgeous drape it gives – I’ve simply got to find an area to try it out here. The Yarrow too. I’ve got to investigate how they’ll stand up to deer browsing. Quick question: My senna tends to get spindly and fall over after blooming. I’m wondering if it needs more sun? Anybody else have an issue with their senna this time of year? The horseherb does travel, so I’ve had to be vigilant in keeping it out of walkways. The area in front has now filled in completely. I watered once this summer and have had to mow/weed-eat twice. (I have an old-fashioned push mower that a friend gave to me and an electric weed-eater. So, not too much carbon foot-print there.) It’s more maintenance than the much was, but I’ve enjoyed the green. The ponyfoot has been nice; that spot is the only one that will work for me. I hope you can find someplace for yours. I just checked the Austin ‘Grow Green’ guide and according the it, the yarrow is deer resistant. Yay! My senna does the same thing. I need to remember next year to stake it. I always forget the adage: If you have to stake the plant, it’s too late to stake the plant. I’ve heard from others that their senna leans, even in full sun. Yay for yarrow then! As to the ponyfoot, I’m reading it is fairly deer resistant, so there are two plants to plan on starting after the risk of winter freezing passes next year. Something fun to look forward to!